Earn up to 47 Vaportiser Loyalty Points. 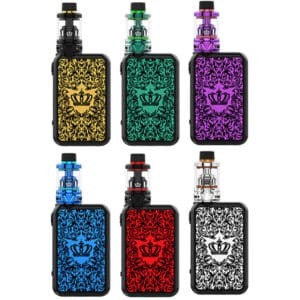 The UWELL Crown 4 is a great looking kit with a solid build. Using a zink alloy, abs and aluminium in the construction, the mod has a good weight to it and a sturdy feel in the had. Taking two 18650 batteries the mod is able to power your coils up to 200w and can read ohm resistance between 0.1 and 3.0 ohm. The Crown 4 tank has a smooth hand polished construction and is fitted with UWELL’s new “self cleaning” tech. This means the tank absorbs any liquid that has been deposited in the chimney or airflow and recycles it back in to the cotton for vaping, meaning there will be less wastage and less cleaning over time. 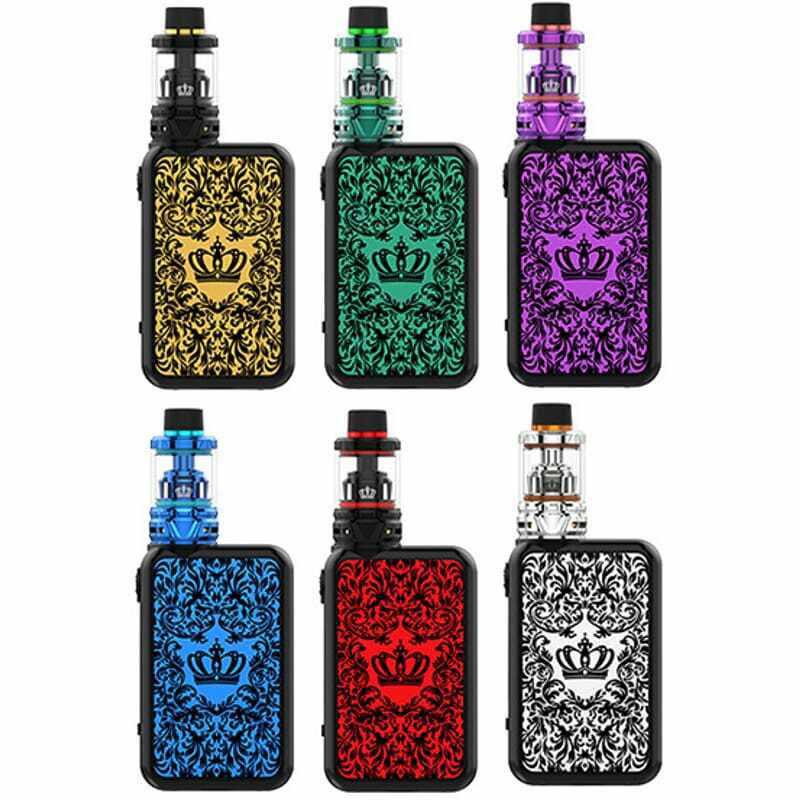 The Crown 4 Kit is a fantastic mod and perfect for new vapers looking for a sub ohm device, or experienced vapers wanting a solid well made device.